Alter Rock Indoor Climbing Centre is Derby’s leading centre for learning climbing skills. You can progress from complete beginner to Instructor with us and be challenged by over 600 square metres of graded climbing walls and bouldering problems. 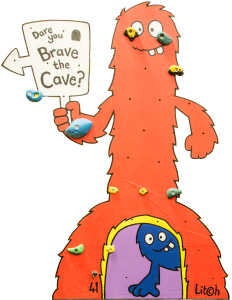 And we have other fun activities to suit all ages and abilities such as swinging along the Air Walk aerial assault course or crawling through the Labyrinth Cave. 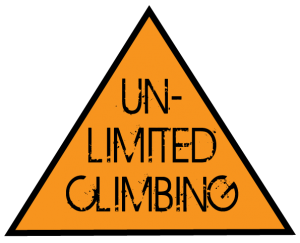 Perhaps you have tried other climbing centres and want to have a go at something more challenging? At Alter Rock we have experienced instructors to teach climbing skills so you can improve your techniques and climb with confidence on routes from the Peak District to Yosemite! 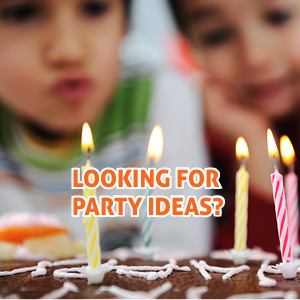 Whether you are after a sociable way to keep fit, seek to improve your climbing ability or want a children’s party with a difference, we are here to help. To encourage you to climb more often, Alter Rock will give half price entry to anyone who comes in to climb within 6 days of their last entry on production of their receipt. AIR WALK – an aerial assault course where you swing through the rafters of the church negotiating tyres, logs and swings. It’s harder than it looks! LABYRINTH CAVE – Our indoor cave system tests your ability to squeeze through tunnels and find your way with a head torch or in the dark. Try it if you dare! Click here to open our interactive timetable and see all our regular activities. Smart 2.0 device just £30. 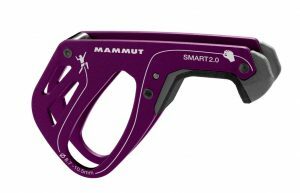 Be smart and buy a Mammut Smart 2.0 belay. Super easy to use, we think it’s a great bit of kit. We’ve got them in stock, £30 each. This video shows how it works. A perfect example of what you could spend a £30 Alter Rock gift voucher on! Buy gift vouchers online here. Why you should come climbing! Appropriate for almost all ages, adding indoor rock climbing to your regular keep fit workout routine yields an array of benefits for adults and kids alike, no matter what fitness level or prior experience you may bring to the sport. Benefits from using our indoor rock climbing centre include increased physical fitness, improved problem-solving skills, trust and teamwork, and an expanded social network. Using an indoor rock climbing wall is a healthy activity that everyone from families, school groups and work colleagues can enjoy together. Come along and find fun ways to stay healthy. At Alter Rock we have over 600sqm of climbing walls, comprising roped climbing and bouldering for all ages and abilities. The routes are regularly reset by some of the top climbers in the UK so you are bound to find a challenge for your skill level. A person does not need superhuman strength or massive arms to start climbing. In fact, it’s common to witness a young person out-climbing a burly man. What you need to begin indoor climbing is to sign up for a Learn to Climb Course at Alter Rock, Derby’s indoor climbing centre. The course will teach the necessary safety skills for indoor rock climbing. We change our bouldering panels and climbing walls regularly. Find out who has set the routes and problems this week. Take a break between your activities or while you watch your children climb. We sell hot and cold drinks, hot and cold foods and a wide variety of cake and chocolate bars. Climb every day, buy a monthly or annual pass, and come whenever we are open. You could be climbing for just 78p per day. For more information please email questions@alter-rock.co.uk or phone 01332 367200, or pop in and visit the climbing centre for yourself during our opening times.